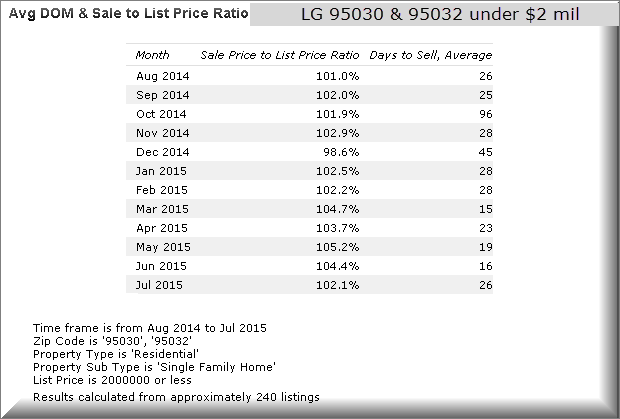 How’s the real estate market in the Town of Los Gatos? The real estate market trends in Los Gatos varies from one price point and neighborhood to the next, from one type of housing to the next, and even between the town’s two zip codes, 95030 and 95032. Here we’ll take a view of the overall movement in the market; please understand that it may or may not apply to your particular Los Gatos home so please call or email me for specific information relating to your property. Overall, Los Gatos continues to be a seller’s market, though not as deep as in other places in Santa Clara County (it’s wild in Cupertino, Sunnyvale, Palo Alto). Inventory is better than a year ago, inching toward more normalcy while remaining on the scarce side. Today I pulled the data from MLSListings.com using their “statistics” tool (any Realtor can do this who’s a member of the MLS). 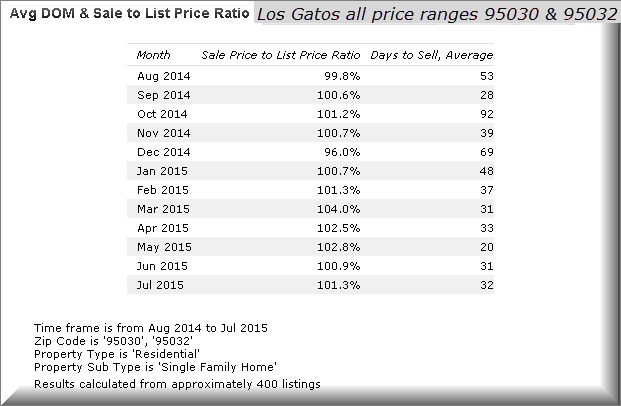 The numbers below represent single family homes, or houses, in the Los Gatos zip codes of 95030 and 95032, all price ranges, school districts, home sizes etc. The luxury market over about $3 or $4 million is usually more sluggish than the entry level homes, so what happens if we don’t go that high? Not only are the $2 million dollar or less homes the ones moving better, but the 130 of them (out of 240) that did sell within 14 days really moved fast (9 days on average) and with a much higher sale price to list price ratio! This is why it is so key to drill down what’s happening to the micro market level. 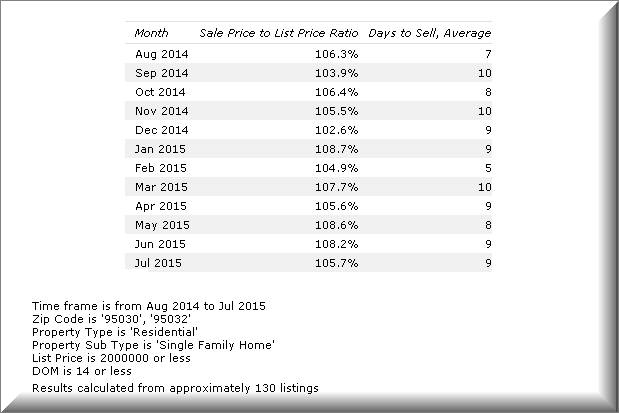 The monthly average for 95030 & 95032 in Los Gatos was 101.3% for all homes, but how very different it is for those under $2 million that sell within a couple of weeks! Home buyers and real estate investors who rely on only those general numbers will be 4% off (about the amount of a typical price reduction) – plenty enough by which to lose the sale. bad odors from pets, strong cooking, cigarette or cigar smoke etc. If you are thining of buying or selling in Los Gator or nearby, please reach out to me and let’s talk about working together. To be successful and to get the most out of your transaction, it’s key to get the data that is relevant to the house in question and not just wing it based on zip code or city wide data. Los Gatos real estate and Silicon Valley real estate require a more sophisticated approach! 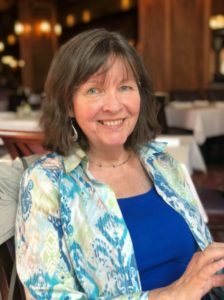 For info on Los Gatos or anywhere in Santa Clara County, San Mateo County or Santa Cruz County, please have a look at my online Real Estate Report.